There is a lot written on the Il-2. Unfortunately not a lot in English. The one English title - the In Action book - is extremely poor and gets most information wrong about the Shturmovik (please, oh please, not the "Stormovick"). For one thing, there was only one Il-2 that had any sort of designation attached to it, and that was the very rare Il-2T, the 'T' standing for - basically - "torpedo". All other western designations are bogus and never really existed. The later Il-2 - two-seater with the wooden "swept" wings - was called 'so strelkoi', but that's because that basically means "arrow". In other words, "swept wings". Everything one sees in the press referring to the "Il-2M" or "Il-2M3" is completely and totally wrong and doesn't mean anything. 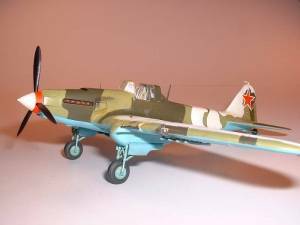 The Dakoplast Il-2s are definitely the most accurate 1/72nd kit of the type currently available. The way Dako broke down the kit they can provide all types with minimal sprues. This could bode ill in terms of fit, but when it comes down to it there is only one problem fit area with the Dako kits, and that's with the center wing-to-fuselage joint. This requires patience and plenty of dry fit to get right, but it can be done with minimal fuss. Unfortunately since this was my first Dako Il-2, I ran into problems - something that won't happen anymore. 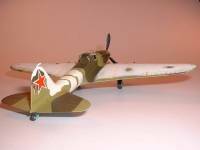 The markings that come with this Dako kit - the straight, wooden wing single seater - are for Zub's machine during the winter of 1941/1942 and for an unknown machine flying in Estonia during the summer of 1942. Construction starts with the cockpit insert. This is primarily the floor and everything associated with it since as a unit it sits on the central part of the center wing section. In addition the baffle for the front, top fuselage scoop is glued onto the cockpit floor assembly. Since the Dako kit is unusual in its breakdown, building moves onto the wing center section. The instructions would have you add all parts of the undercarriage before you glue the upper and lower parts of the wing center section. I have found that if you ensure part number 26 (both of them) are far enough "back" (toward the trailing edge) you can easily get the main undercarriage pieces in after all assembly is complete. Before putting both of the center wing section halves together, you need to decide if you want the center section bombs installed. If so you need to drill out the holes for the mounting hardware. Since I wasn't using the bombs I didn't drill the holes. After assembling the center section halves added were the "knees" to the landing gear pods as well as the main radiator. In truth you can wait longer to glue on the radiator, though, as there isn't anything that requires it to be added now. Now construction moves to the fuselage. Dako does supply some "pieces" for the cockpit sidewalls, but not nearly enough as these were quite busy. You can either add more, or do what I did and use the NeOmega cockpit set. Using the NeOmega cockpit provides another advantage - the resin sidewalls hides the nasty gap that is evident when you glue the fuselage to the wing center section. I didn't use the NeOmega floor, using only the sidewalls. 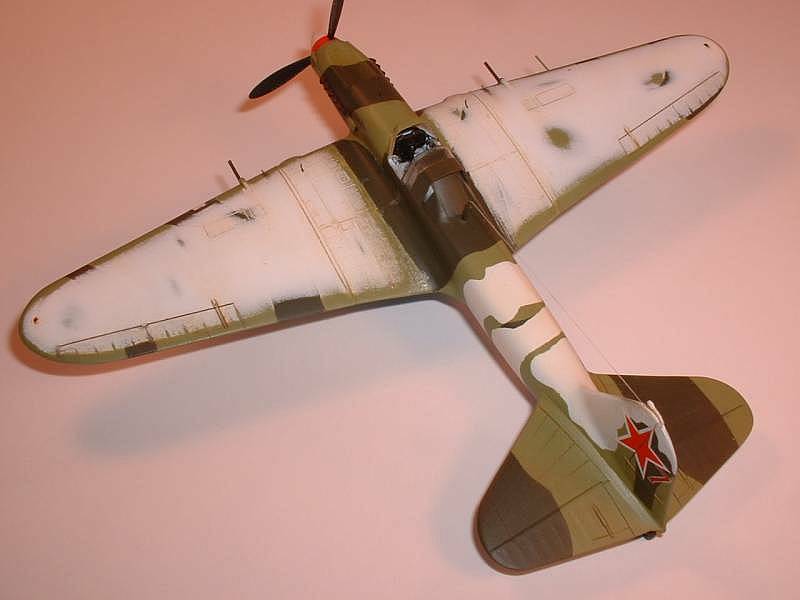 I have another Il-2 in progress - the Toko one - which I scratched the sidewall detail before the NeOmega set was released. 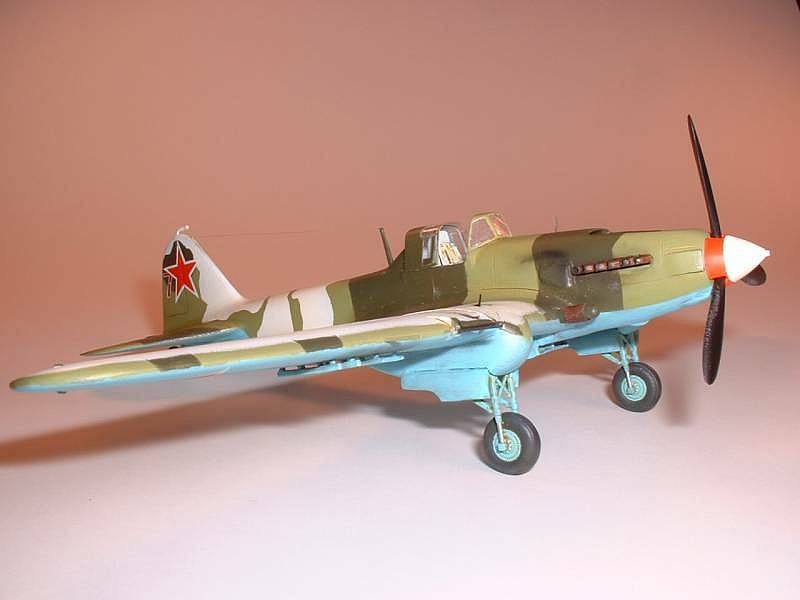 Now if I were to build any Il-2 I will use the NeOmega resin set. It's extremely nicely molded and the detail evident is first rate. One thing to watch for when gluing the fuselage halves together. Be sure the halves are perfectly matched otherwise you run the risk of gluing in a bend to the fuselage. You can glued the fuselage halves together before doing any cockpit detailing and you probably want to if you want to hide the nasty seam that is evident when gluing the fuselage to the wing center section. Now that I had the fuselage glued to the wing center section it was time for the seam elimination "fun". Luckily the NeOmega resin cockpit sides took care of the internal seam, but what to do about the seam on the outside? 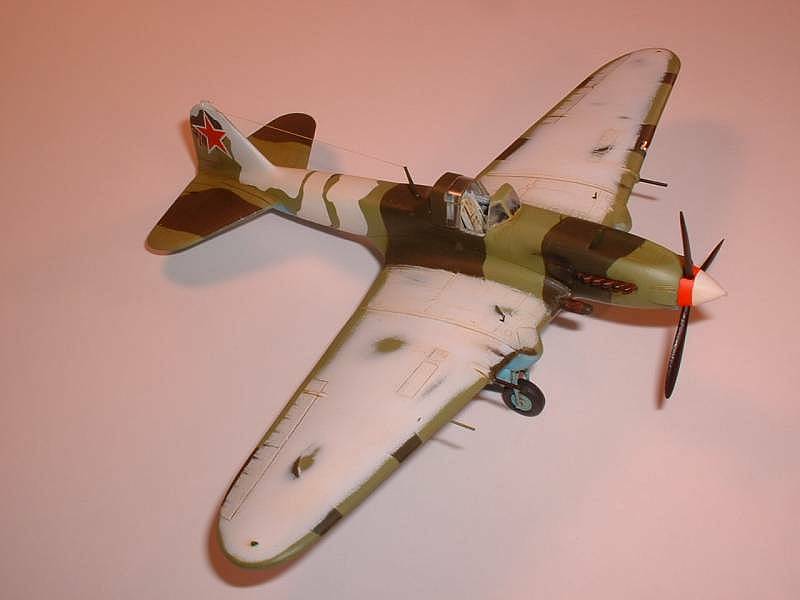 Like I mentioned in my opening paragraph about the kit, this was the first Dako Il-2 I had built and none of the people I know had started one either. So, since all I knew was muscle, it was time to eliminate the seam the hard way with putty, sanding, putty, sanding, repeat ad naseum. Luckily Erik Pilawskii has discovered an easier way to deal with this seam which I will use from now on. His comments follow. "The joint between the wing centre-section and fuselage can be improved - meaning less sanding and filling - via several methods. This technique involves the use of thin card (or paper, which is what I use) to 'wall' the cockpit interior. Basically, the opening in the cockpit 'floor', which is part of the wing unit, is to be enlarged. 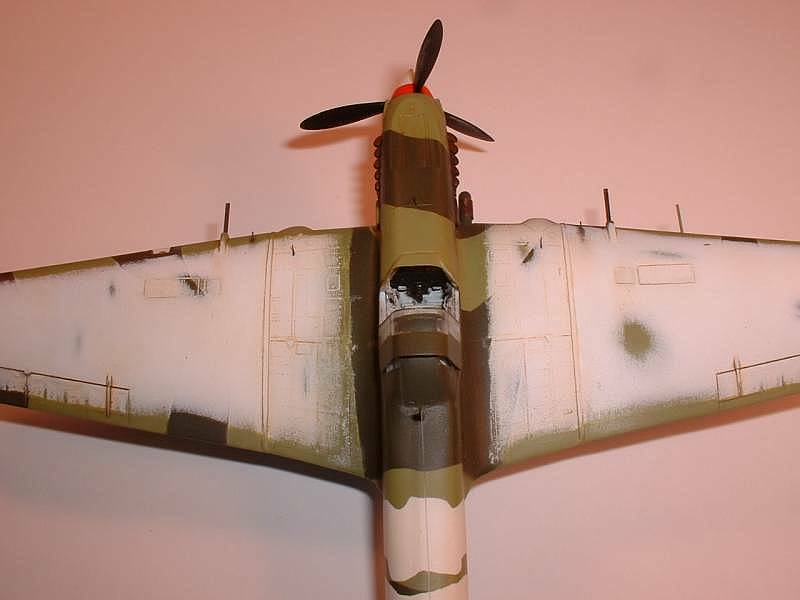 The detail on the cockpit sideswalls must then be removed, and the sidewalls thinned as much as possible. Then, insert card with a moderately shaped bottom edge (to mate with the wing unit; no great fit needed) to form the new walls of the cockpit interior. The resulting blanks serve to make a backing for any putty or filler applied to the wing/fuselage joint, and prevent this from entering the cockpit. The ugly internal seam is thus covered over entirely." Now that I had dealt with the wing-center-to-fusleage joint, I could finally move on. I drilled out the holes for the rocket rails in the outer wing underside piece before gluing the out wing halves together. Once the outer wing halves were glued together they were added to the wing center section. With the proper amount of dry fit you can get the outer wings to fit to the center wing section with little to no putty. 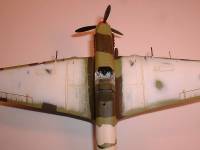 At this time the horizontal tail pieces were added as well and any seams dealt with. I also added the rocket rails prior to painting. 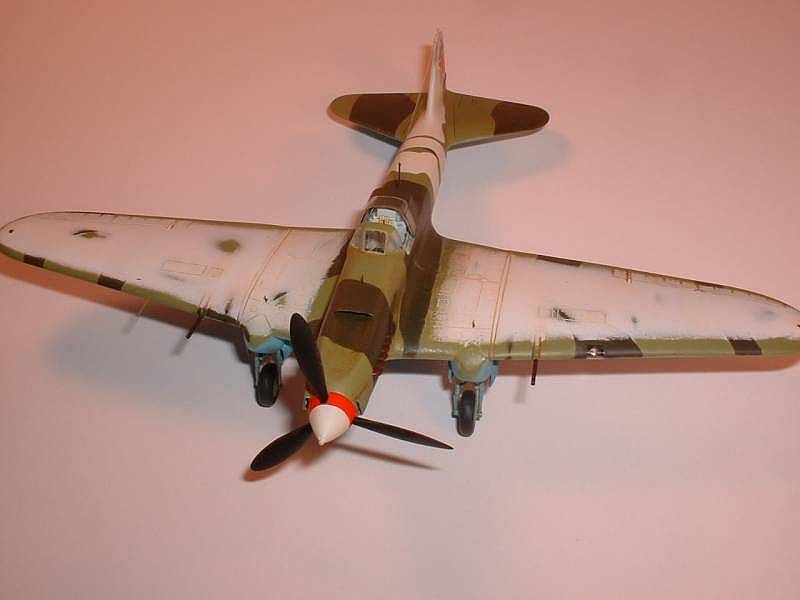 Other items also added prior to painting were the Falcon vac front and rear canopy sections as these required some blending into the fuselage. I now started the painting. I used Polly Scale colors throughout and started on the underside with their Russian Underside Blue, toned down with just a drop or two of white. After this dried for a couple of days I masked and sprayed the upper surfaces with Warpac Green. I followed that with masking then British Dark Green which was actually the wrong color. Something more like "IJN Green" would be more accurate. Again after a couple of days wait I removed all the masks and sprayed the model with Future. I then masked one last time for the white. Iwent "backwards" with the paint because I wanted to weather the top of the wings and the best way I could think of to do this was exactly like the real thing. Remove some of the white after application. So after the white was sprayed and the masks removed I then used Detail Master high grit sandpaper (1500 to 3600 grit) to remove some of the white in random areas. I only did this to the wings because in the photo of the machine it appears the white on the fuselage was more "fresh" and showed no signs of weathering. After I was satisfied with how the white weathering went I sprayed another coat of Future over the top of the model. Decals were then applied and Future applied over them. The decals are a mixture of the kit for the stars and the number being ALPS generated. After the last coat of Future dried (I waited four days this time) it was time for overall weathering. I started with a wash of burnt umber oil paint on the top with a mid-gray oil wash (mixing black and white, naturally) on the underside. I also used some of the burnt umber on some of the underside, namely on the undercarriage. Before I sprayed the dullcoat I added some parts to the model. Since the round pieces weren't well formed and had some flash I used .035" plastic rod - drilled out - for the cannons and syringe needles for the machine gun barrels in the wings. Now I sprayed the dullcoat. I then weathered with pastel chalk and added paint chipping using a Prismacolor silver colored pencil. Once I added that last of the small pieces - air filter from the kit part (for now - this will probably be replaced at a later date), pitot tube from .020" Evergreen rod, bead site from .010" plastic rod, and the landing gear "down" indicators from the Part photoetch set - I had a unique example of the best WW2 ground attack aircraft in my completed model stash. As was already stated, the Dakoplast Il-2s are the most accurate ones available in 1/72nd. While not without work - perfect for people not afraid of modeling - it builds into a great example of the Shturmovik. 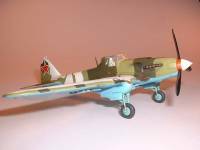 With the number of aftermarket pieces available for it and other Il-2 kits there is no want for anything. Except decals. For some odd reason the aftermarket decal makers appear afraid to tackle Il-2s - and VVS subjects in general. Here is an aircraft that was the most produced combat aircraft ever - over 36,000 produced - and no current aftermarket decal sheets available. Very odd. Even so, the Dakoplast Il-2s are highly recommended but unfortunately getting difficult to come by. Eastern Express now has the masters but I've heard that their molding process is less than desirable and the detail suffers because of it.